We have very exciting news for you! Our lovely new timber shelving units that will line the walls of the shop and hold all our precious yarns are finally ready to be installed in the shop, which is super exciting for us but means that we will need to close the shop for a few days, in order to dismantle the old shelves and install the new. For the final stage of renovation, we will be closed from Monday 19th of May to Thursday 22nd and will reopen on Friday 23rd of May. We are letting as many people as possible know about the temporary closure via our newsletter, Instagram, Twitter and the blog but we realize that we may not catch everyone and really hope that we will not inconvenience too many of our customers! We’ve remained open through most of the changes here but, in this case, we’ll need to pack up all the yarns and then find homes for them in the new units, which will take us a little time. We thank you for your understanding and patience over the last few months of renovating and hope that the improvements and changes in the shop make it worthwhile to you. Please do spread the word to your knitter friends if you know they are likely to be coming in! We hope to see you very soon- we have a couple more beautiful new brands of yarn arriving in the next month which we know you’ll love, as well as a lovely new window display with some really gorgeous new winter garment samples. And I know we keep saying it but please do bring in some of the projects you’ve been working on over the autumn as we so love seeing what you make with our lovely yarns! 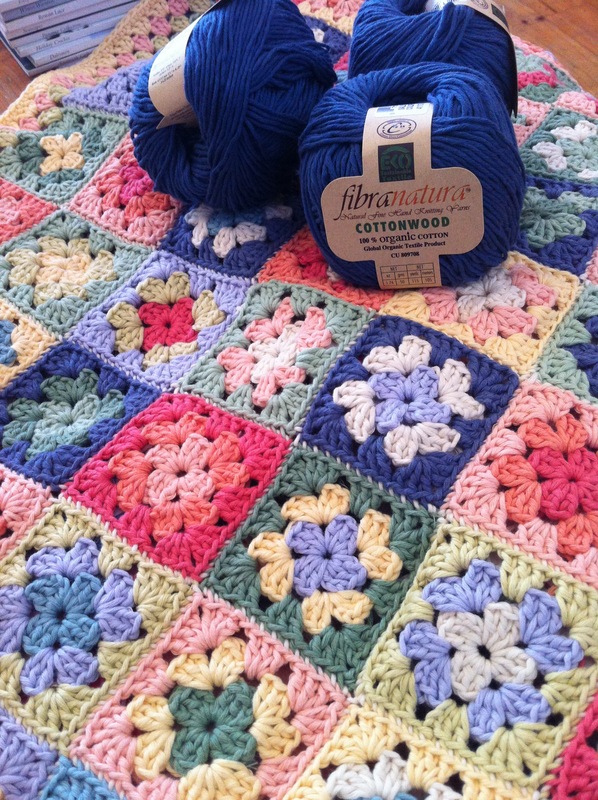 In the meantime, here’s a gorgeous baby granny square blanket knitted by one of our clever customers, Janet, from FibraNatura Cottonwood, a beautiful organic cotton 8ply yarn that is perfect for babies. We love her colour palette and were particularly impressed with her beautiful seaming- look at those lovely little stitches! Categories: Sunspun news | Tags: knitting, renovation, Sunspun, yarn shop Melbourne | Permalink.